Label Stock On Sale Here! Take a look at our product promotions, or for regular updates on specials, join our mailing list. Pricing and volumes are subject to availability - contact us today! Visit us on Facebook or Twitter for news and industry updates. Find out how Celestik helps our valued clients with all of their label stock needs and the proven process that helps us do it. CELESTIK INC is a leading supplier of pressure sensitive label stock, offering a wide variety of high-quality roll label stock at deeply discounted prices. Through our partnerships with leading manufacturers to provide a dedicated distribution channel for their offcuts and excess inventories, we can provide our customers the opportunity for significant savings on the same high-quality materials. 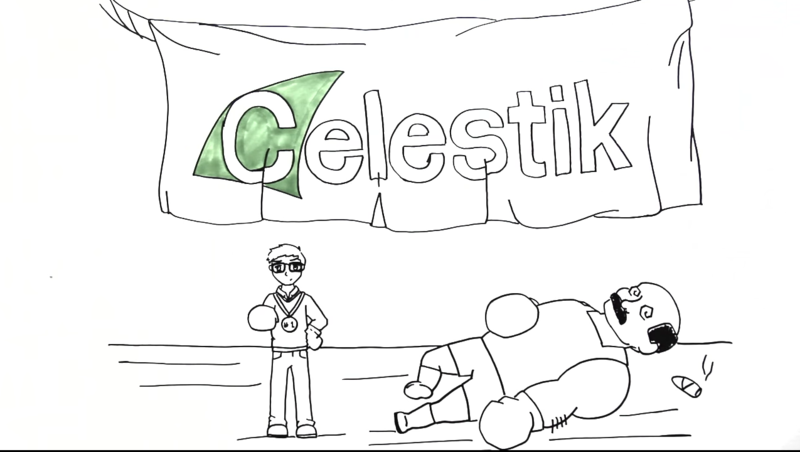 With over 150,000 sq ft of in-stock inventory available and state-of-the-art converting equipment, Celestik is the ultimate solution for your label stock needs. We offer an extensive selection of both commodity and specialty grades from manufacturers across the U.S. With over 150,000 sq ft of inventory available at all times, we have a huge range of stock on hand to meet your needs. We also carry a wide range of raw materials and siliconized release liners. Whether it's a one-time run or an ongoing need, call us today! No minimums, cut to order, huge selection, and great service - we're a label printer's dream! Check out our contract converting capabilities, and call us today! Not a printer? We also provide a diverse range of turn-key solutions for manufacturers and suppliers in the paper and label industries. Take a look at the ways we can help your business save and grow! Looking for labels? Whether you need something special or are just browsing, check out a selection of our ready-to-ship product offerings, and call today! Don't see what you're looking for? Give us a call anyway, and we'll work with our many partners to source material to meet your needs. © 2014 Celestik Inc. All Rights Reserved.